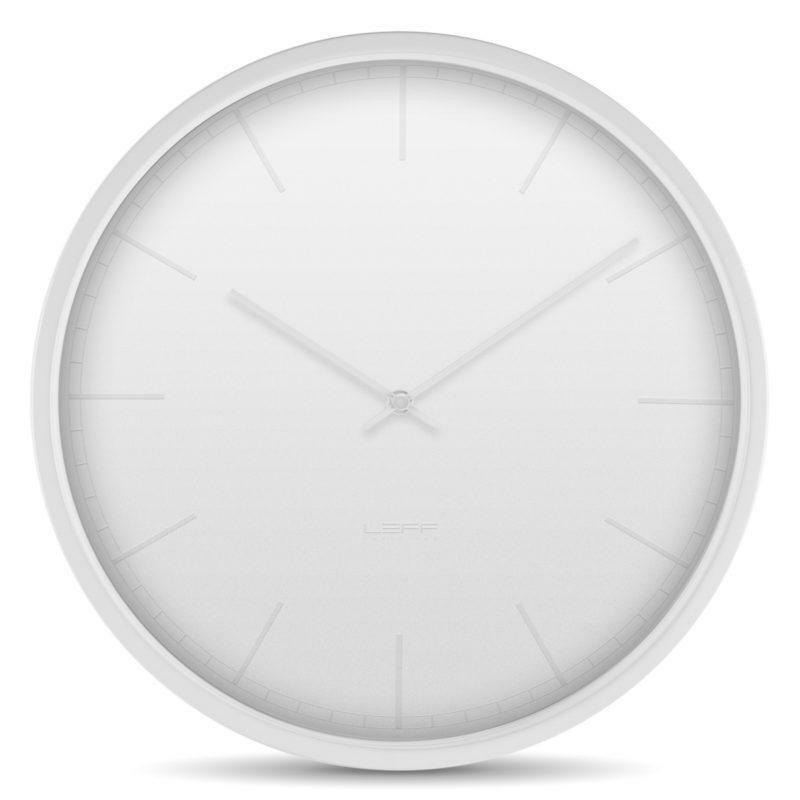 Tone Wall Clock – White. The contrast in this design is not formed by the colours itself, but by its finish. A glossy transparent spot varnish is printed on the matte dial to create a so-called ton-sur-ton effect. Depending on the light, the index print is clearly visible, slightly visible or not even visible at all. Let light set the tone.